We are firm believers that if you start the day with a healthy breakfast, you are more likely to make healthy choices all day long. Today we are making our strawberry banana Greek yogurt parfait which is so decadently delicious it could easily pass as a sweet dessert too. 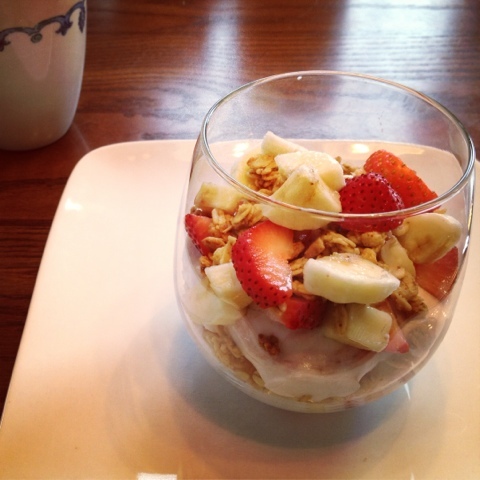 We start by layering in non-fat strawberry Greek yogurt and top it with fresh cut bananas and ripe strawberries. 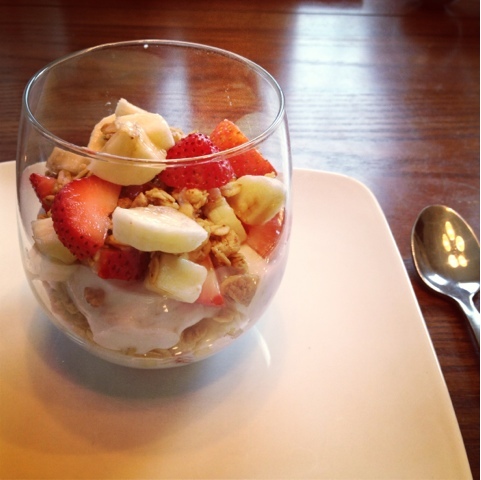 We add in banana nut granola for crunch and continue to layer in our creamy yogurt and fresh fruit. Feel free to swap out your favorite flavor yogurt and granola & make sure to check out our Berry Greek Yogurt parfait too! Hope you enjoy & cheers to starting the week off right! 1. Layer in half of your Greek yogurt and top with 1/3 of your fruit. 2. Add half your granola and the remaining yogurt. 3. Layer in 1/3 of your fruit, remaining granola and finish off with fresh fruit. It looks good. I usually eat a Fiber One bar and a piece of fruit in my car for breakfast because I have to leave home by 4:45am. Such a yummy way to shake up my breakfast!!! Love it!